The global solar inverter market is roughly $2 billion and growing healthily along with the PV market. But market dynamics in the inverter field are very different than in the solar module field. While the biggest PV module vendors, i.e., First Solar and SunTech, have market shares in the 15 percent range, the PV inverter market is dominated by a five-hundred pound gorilla: SMA, which has a market share greater than 38 percent. The other hundred inverter companies have to content themselves with dividing up the remaining 60 percent of the market although there are certainly different inverter sectors, namely, residential, commercial and utility. An obvious strategy to gain market share quickly is acquisition, and that's just what Advanced Energy Industries (Nasdaq:AEIS) has done in announcing the $90 million acquisition of PV Powered. PV Powered, a privately-held Bend, Oregon-based inverter company, will soon be a wholly owned subsidiary of Advanced Energy. While SMA is a leader in European residential applications, companies like Advanced Energy, PV Powered, Xantrex, Satcon, Solectria are dominant in the U.S. market. PV Powered is profitable, according to the firm, and has shipped over 16,000 units since 2003. I spoke with Gregg Patterson, CEO, and Erick Petersen, the Vice President of Sales and Marketing at PV Powered. The acquisition is not just about market share to them. For PV Powered, Advanced Energy (AE) gives them international reach and the project "bankability" that is necessary in the maturing solar industry. AE had full year 2009 sales of $186.4 million, 43.3% below sales of $328.9 million in 2008, which reflects a drop in their semiconductor business. PV Powered boasts a 97 percent CEC efficiency for their inverter products. In Patterson's view, PV Powered and AE are the innovation leaders in this market and the leading U.S. inverter suppliers. AE's 97.5 percent efficient bipolar, transformer-less design makes them leaders in utility-scale applications. PV Powered transformer-based products focus on residential and commercial applications although their 260-kilowatt unit is used as a building block in 2- or 3-megawatt projects. AE's high-voltage DC and transformer-less solution allows direct connection to medium voltage for utility-scale usage. 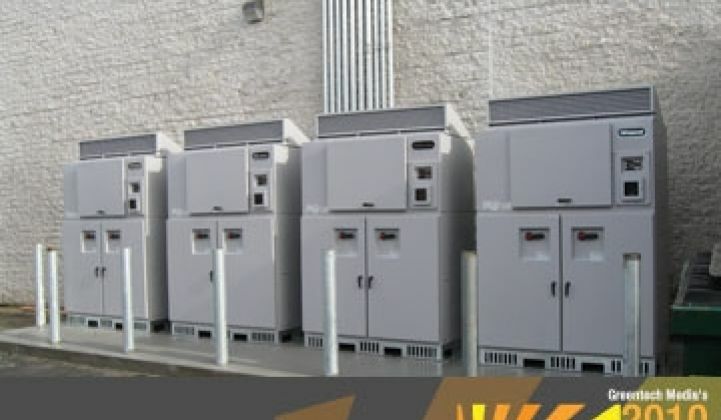 PV Powered’s commercial inverters offer the industry’s first comprehensive 20-year extended warranty. When queried about microinverters and DC-to-DC boost products, the PV Powered CEO had a clear leaning towards the DC-to-DC boost products, which work in tandem with a centralized inverter. Patterson said that microinverters are more of a niche product and that the DC-to-DC products address a starkly different set of problems. He feels that the DC-DC solution is a more technically comprehensive approach to a bigger set of challenges than microinverters are addressing and that the microinverter's role in the market is in residential applications. Enphase might differ with that view. Patterson said, "We don't see microinverters being competitive on cost in the long-term with centralized inverters." PV powered has a collaborative effort with DC-boost firms eIQ Energy, Tigo Energy, Phobos Energy and others to evaluate and advance DC-to-DC technology to see "if the promise delivers in the real world" and to "demonstrate the reality under sun." The CEO says that he's heard from customers and they say that there are two inverter companies doing things differently on efficiency and reliability: PV Powered and Advanced Energy. Hugh Kuhn, the COO and SVP of Solar Power Partners, positioning himself for price negotiations, had this to say: "Solar Power Partners was thrilled to hear the news of the acquisition of PV Powered by AE, for we are customers of both companies and understand the great synergies that the combination will bring to the market. 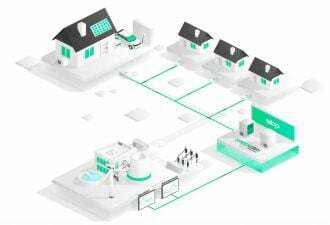 We expect to see considerable change in the power conditioning end of the business in the next few years, and PV Powered and AE are emerging as new leaders in terms of innovation, quality, reliability, functionality and price. The combined firm should be a highly competitive force in the industry." Advanced Energy, PV Powered, SMA, SatCon, GE, Enphase, and other inverter firms will be presenting at the Greentech Media Solar Summit next week in Phoenix.